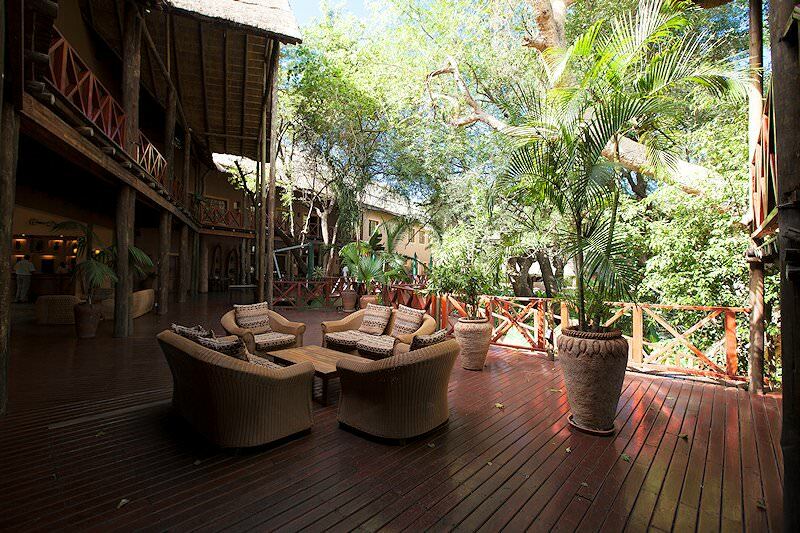 Chobe Marina Lodge is situated just outside Botswana's famed Chobe National Park. 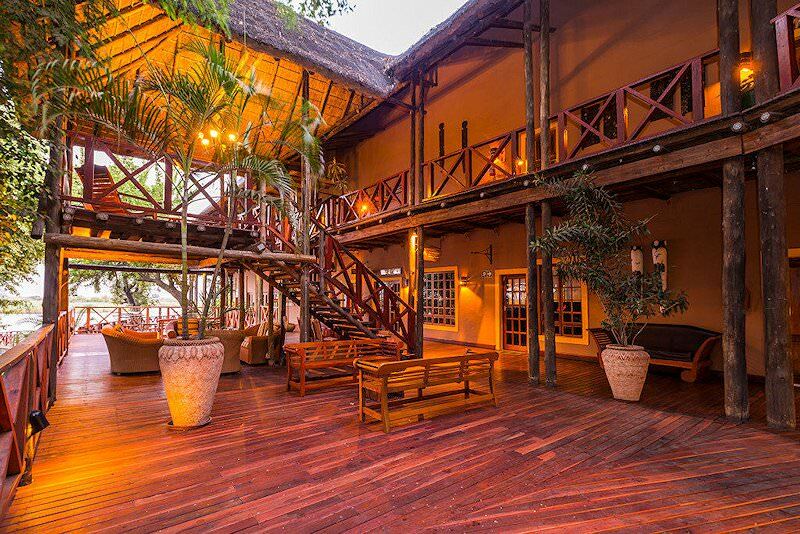 Chobe Marina Lodge is located in the town of Kasane, which is no more than fifteen minutes from the esteemed Chobe National Park. This safari area is famous for its high density of elephants - the highest in the world, in fact. 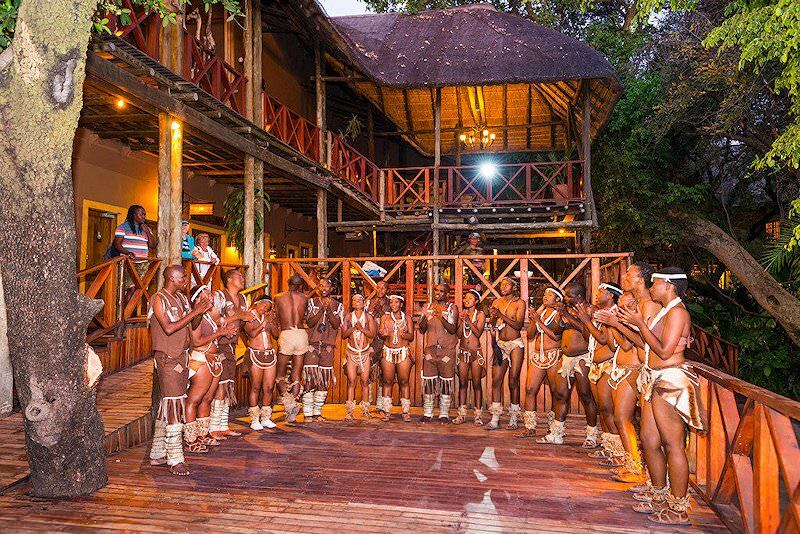 Located in the eastern region of Botswana, the lodge is close to where four African countries meet; Botswana, Zimbabwe, Zambia and Namibia. 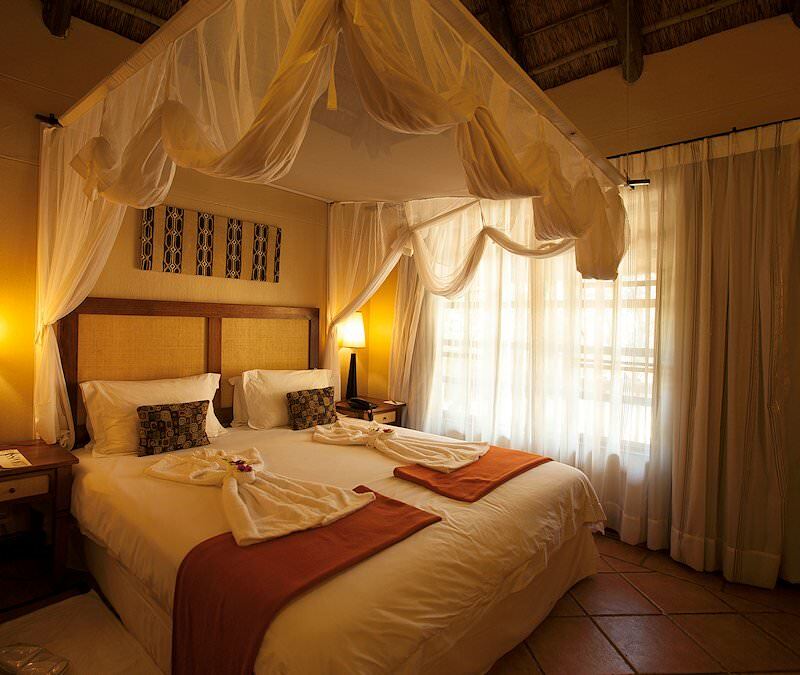 The lodge is situated less than two hours from the Victoria Falls. 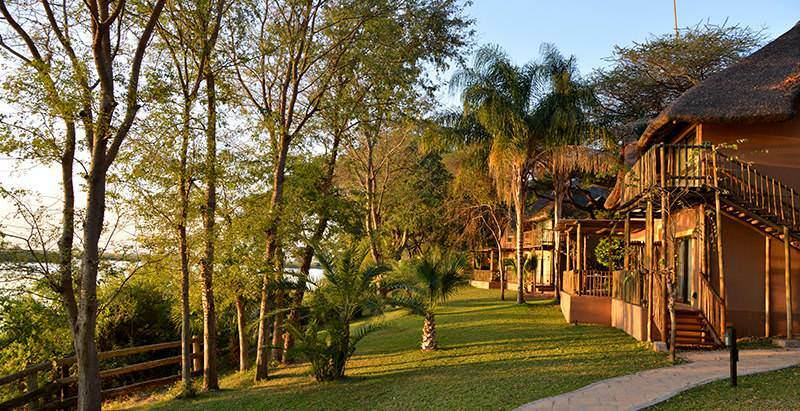 All sixty-six rooms are en suite and face the river, providing a peaceful atmosphere and exceptional views. Rooms vary from studios, apartments and chalets to suites with private lounges. The rooms are equipped with every amenity to ensure comfort. This includes air-conditioning, television, satellite and mini bars. Families are accommodated in three inter-leading bedrooms. The units offer a choice of either king or twin beds and have two bathrooms. 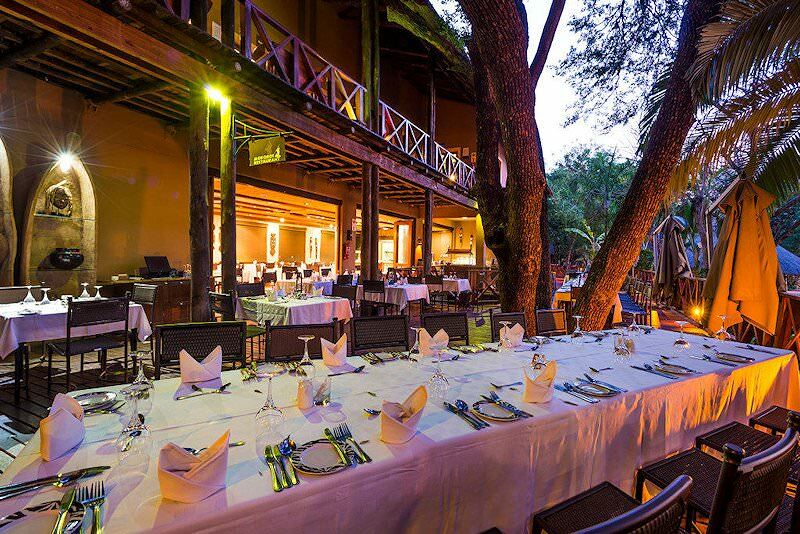 Dining at Chobe Marina Lodge is always a pleasure. Guests are provided with a number of exciting options. The Commissioner's Elegant Dining Restaurant offers d'hote and a la carte menus. This restaurant is for those who like dressing up and sitting down to a formal meal. 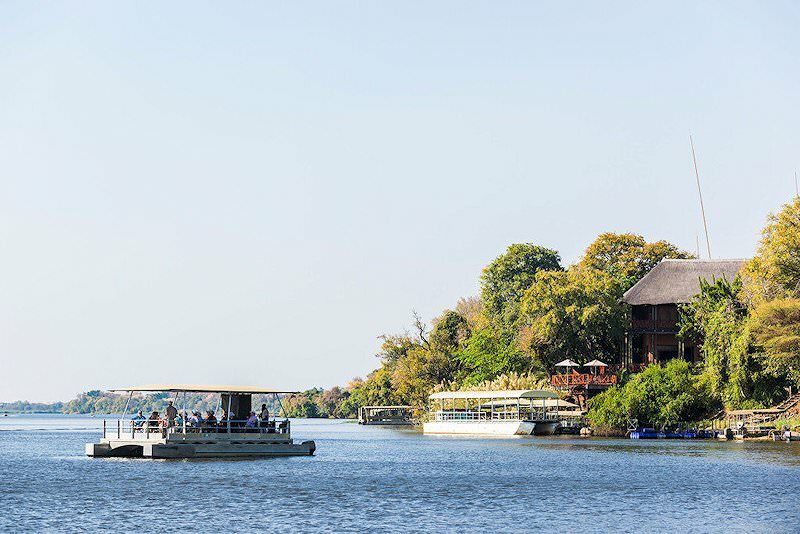 The Mokoros Family Restaurant is far more casual, while the Poolside and Riverside Bars provide light meals and sundowners. However you choose to dine at this lodge, the lovely surroundings ensure that each mealtime throughout your safari is thoroughly enjoyable. 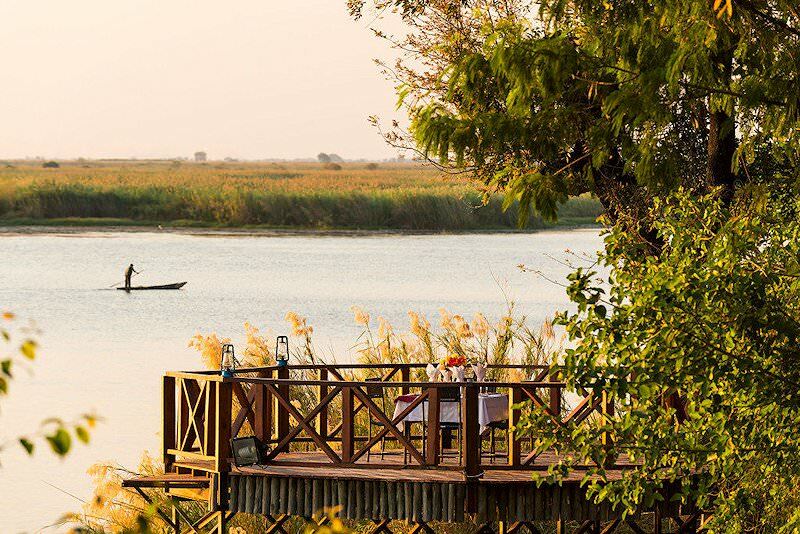 Following a flight from O R Tambo International Airport in Johannesburg to Zambia's Livingstone, guests are transferred to Chobe Marina Lodge on the wild outskirts of Chobe National Park for the duration of the safari package. 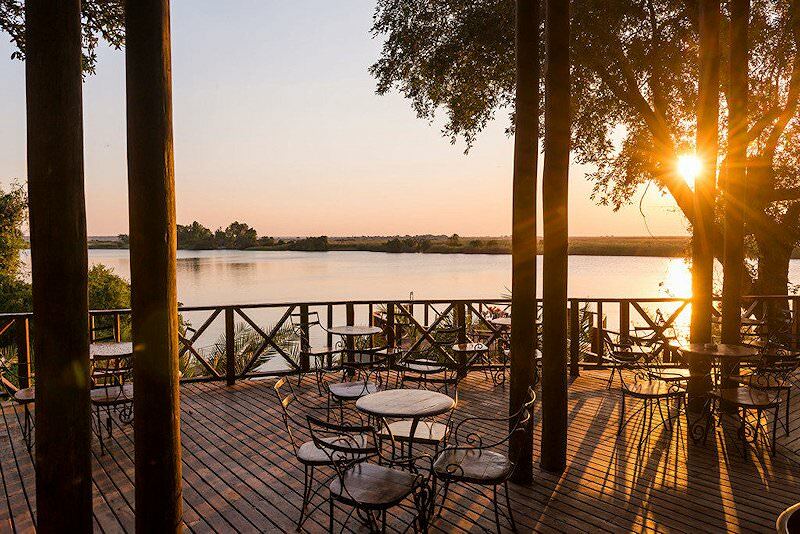 The large lodge offers many mealtime options, from dinners in the Commissioner's Elegant Dining Restaurant to breakfasts and light lunches in the Mokoros Family Restaurant. Drinks are perpetually enjoyed waterside, whether by the gleaming views of the riverside bar or the leisurely lure of the poolside bar. 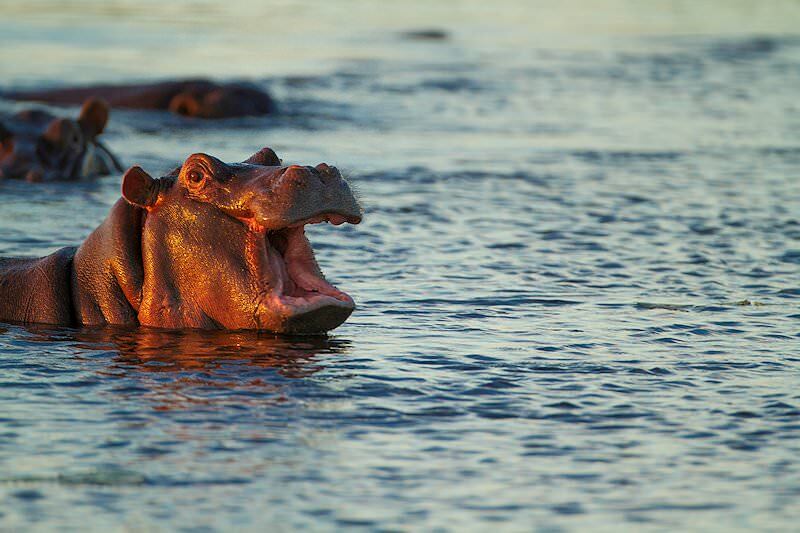 This Botswana safari package offers boat cruises and game drives that permit the enthusiastic traveler wild encounters with the extraordinary feathered and furry critters that reside in Chobe. Lions and elephant are met frequently during such expeditions. Extra excursions include fishing, day trips to Victoria Falls or exploratory missions into nearby Kasane - exciting additions to a safari. 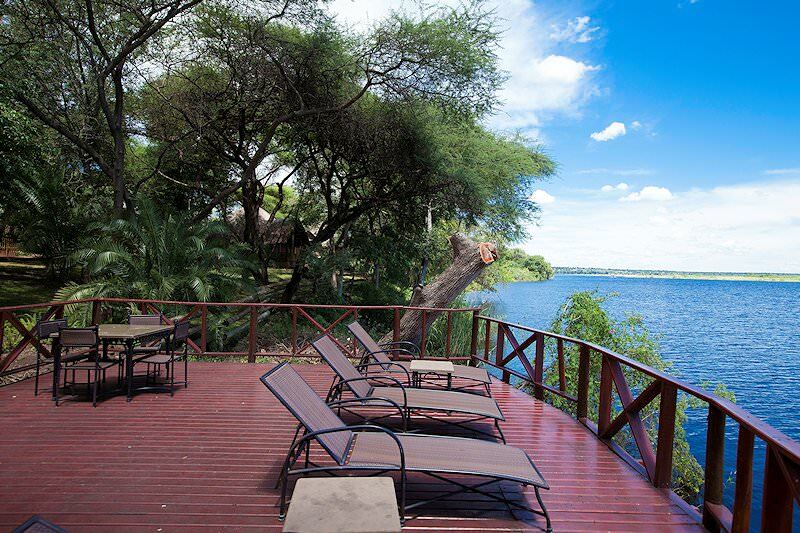 Located in the town of Kasane with views of the Chobe River, Chobe Marina Lodge is not ideally situated. It is more of a hotel than an intimate safari lodge. This being said, I believe it offers value for money and good, comfortable accommodation for those seeking a more moderately priced Botswana safari. 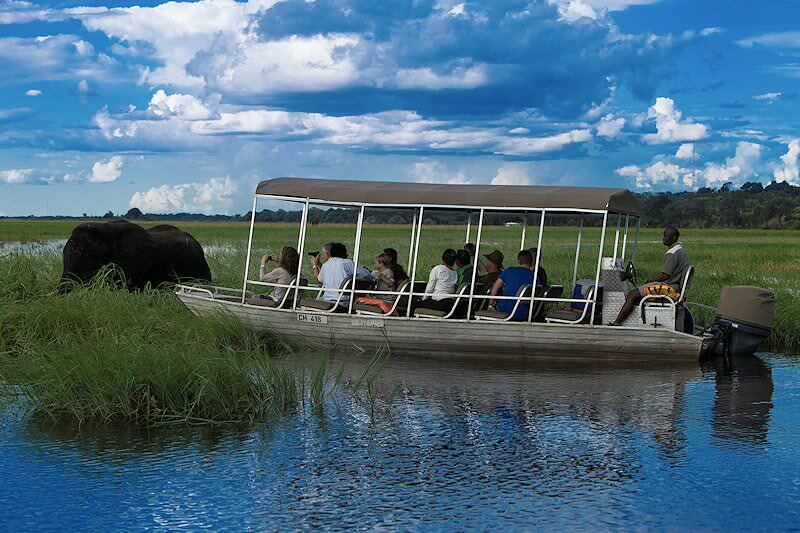 Game drives are conducted in the Chobe National Park, which is only a 15 minute drive away. Alternative game activities include sunset game cruises that depart from Marina Lodge&apos;s own jetty. Explore the 'world in one country' on a diverse safari adventure. 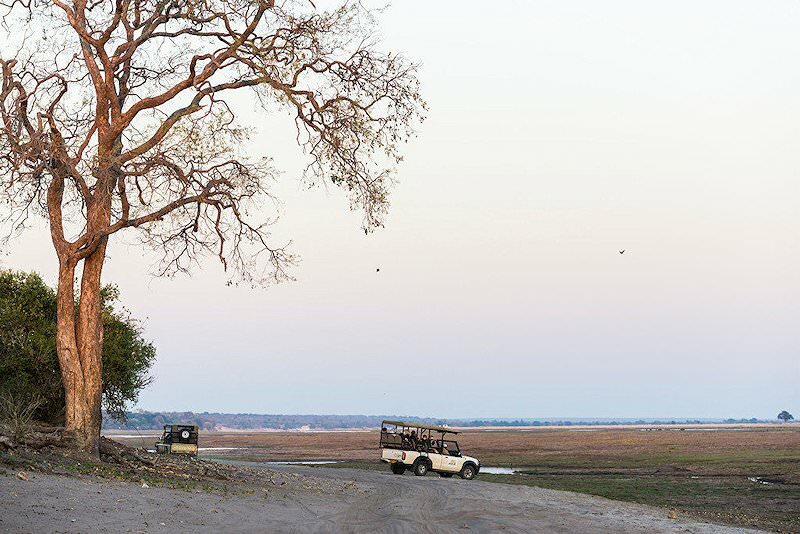 Zambia's safari areas are wonderfully wild and extraordinarily remote. Zimbabwe is a thrilling off-the-beaten-track African safari destination. Mozambique's myriad islands and fine beaches will take your breath away. The Kruger National Park is South Africa's supreme safari destination, boasting truly impressive diversity and untouched natural beauty. Our luxury safaris explore a wide variety of Africa's wilderness areas, from Etosha National Park to Shamwari Private Game Reserve. The Big Five - the lion, leopard, black rhino, elephant and Cape buffalo - are Africa's most awe-inspiring mammals. The lodges of Southern Africa are scattered across some of the continent's most breathtaking wilderness areas.